SOS Children's Villages decided to start working in Belarus after the 1986 Chernobyl nuclear disaster. 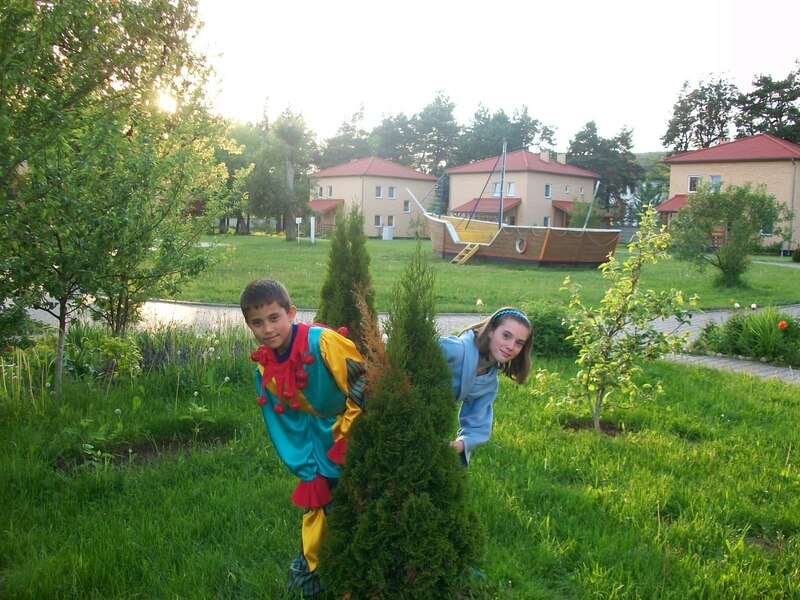 In 2002 Marina Gorka became the second location where we support children and families in need: we aim to reach vulnerable families so that they can stay together. Marina Gorka is a small town with about 22,000 inhabitants. The town is approximately 65 kilometres south-east of Minsk, the capital of the country. Marina Gorka is part of the Minsk administrative region, which is the biggest in Belarus and one of the most important in terms of its contribution to the country's economy. The area is known for its agricultural products as well as for the manufacturing of textiles and clothes. Marina Gorka's industries include the production and processing of dairy and meat and other agricultural products. The Belarusian economy suffered as a result of the collapse of the Soviet Union in 1991, and although it has shown some improvement, the people around the area of Marina Gorka have also been affected by these economic changes. The government is investing in the regeneration of the area in order to improve the standard of living of the population. For example, the water supply and sanitation network is being updated. Farming, which is an important source of income and employment, is also a target for modernisation investments. Many families continue to live in poverty and the recent social and economic changes, which have included significant rises in the price of food and other basic goods, have resulted in more children living in vulnerable conditions. Although the local government has attempted to increase the number of agencies caring for children there is still a lot of work to be done in educating parents and children about children's rights. There is an increasing number of children who are not able to live with their families. The children arriving into care often suffer developmental problems as a result of the difficult situations they have had to live through. Most children who lose parental care continue to be placed in institutions. The government is trying to change this situation: it has adopted the SOS Children's Villages model of placing children with their siblings into family-based care. Although the state has taken some measures to help children who have lost parental care, our work in the area remains as crucial today as it was when we started working there. SOS Children's Villages has been very active in influencing the social care standards at both the national and local level. In addition, the provision of support to families, the training of local educational staff, giving a loving home to children who cannot live with their families and the tailored support to young people embarking on an independent life, have formed the core of the organisation's work in the area. A central part of the work that SOS Children's Villages carries out in Marina Gorka is related to supporting children and families in the neighbourhood. This work is particularly important in an area where families face many economic and social difficulties. Working with local authorities and other service providers, our family strengthening programmes give support to families and children in need. We provide a comprehensive package of services to enable families to stay together. We assist families with material support such as food and clothing, and with educational aid and access to health care. In order for parents to generate income, we offer them vocational training, career counselling and advice on how to look for a job. An important part of our work is directed at the improvement of education in the area; we enhance the skills of local teachers. Children whose families can no longer take care of them can find a loving home in one of the twelve SOS families which can look after up to 91 children. The children from the SOS families attend nearby schools or the kindergartens together with local children, which helps them become part of the community. Young people who are ready to leave their SOS families can move into the SOS Youth Programme. The young people live in shared houses during their vocational training or further education and can prepare for an independent life under the guidance of professionals.